Children (especially the very young ones) regularly lose their jerseys, drimacs, lunchboxes and bottles. We all know that it is quite costly to replace these items. 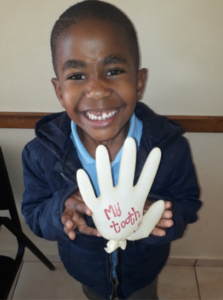 To assist the school in returning them to the rightful owners, please ensure that all your children’s belongings are clearly marked with their name and surname. 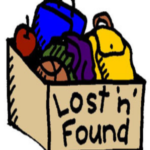 We have a lost and found and parents and children are encouraged to look for any items that they may have recently lost. 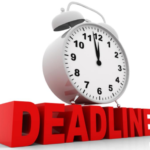 Many parents have not yet returned the re-registration forms for 2019. This makes planning for the new year very difficult as there are students on the waiting list who hope to attend JCA next year. If we do not know who is not returning, we cannot fill these spaces. Please complete the form and return to the office as soon as possible. The 2019 re-registration fee is R 1550 but there will be a R 150 discount if paid BEFORE 1 September 2018. All re-registration fees paid after 1 October will be treated as a new registration and will be R 2200. We still have some room for grade R & grade 1 next year! So, if you know someone with a child who is looking for a good school, spread the word! We need more students in these grades if we wish to meet our goals of adding the high school down the road. Remember that next year at JCA we plan to have x2 grade R, x2 grade 1 and x2 grade 2 classes and our GOAL is to add grade 8 in 2021. 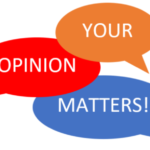 It is that time of the year when we do our satisfaction surveys as your opinion is valuable to us. We will be sending the link on the Whatsapp parents group. If you do not have access to the internet, we will be making these available to everyone during our August parents teacher conferences . Please make sure to visit the computer lab to complete the survey. We are planning a fun week in September where we will have different people come to talk to the learners about their jobs. We would encourage you to start talking to your children and to find out what they would like to be when they grow up. 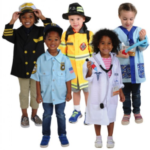 On Thursday, the 13th of September we will have a dress up day and each of the students must dress up according to their chosen career path.